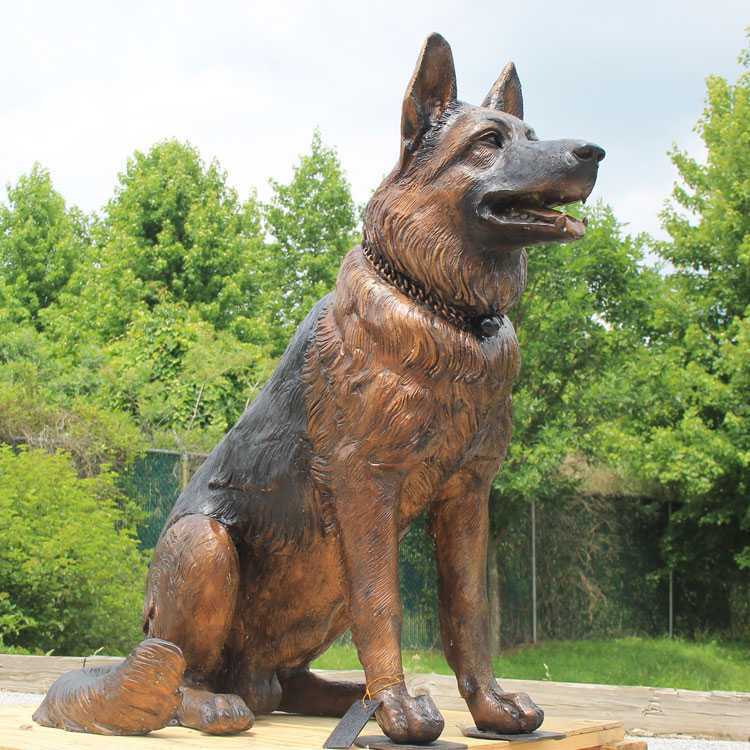 German Shepherds were bred specifically for their intelligence,a trait for which they are now famous.So if you are looking for the Life Size German Shepherd Garden Statue ,this is the right place to choose from ! 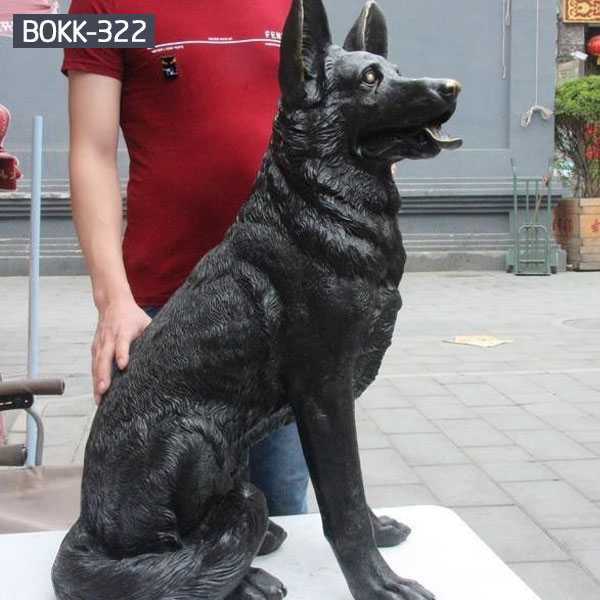 This is a beautifully sculpted Life Size German Shepherd Garden Statue. His head is upward, wary, ears sticks immediately, and is facing Forward. The German Shepherd, also known as an Alsatian, Alsatian Wolf Dog or Deutscher Schäferhund in German were originally developed as working dogs to heard sheep. German Shepherds were bred specifically for their intelligence,a trait for which they are now famous.In the book The Intelligence of Dogs, author Stanley Coren ranked the breed third for intelligence, behind Border Collies and Poodles. 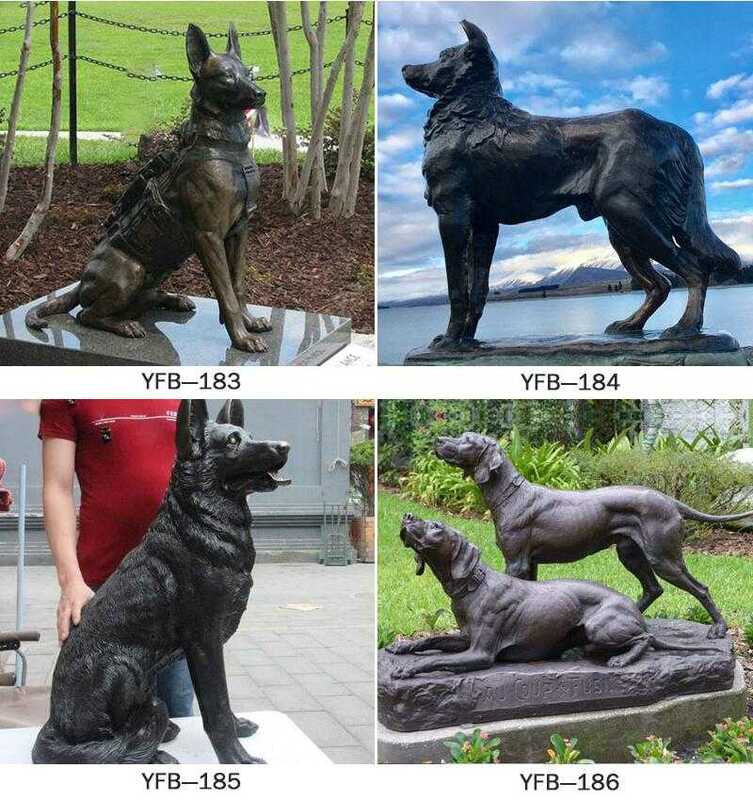 He found that they had the ability to learn simple tasks after only five repetitions and obeyed the first command given 95% of the time.Coupled with their strength, this trait makes the breed desirable as police, guard and search and rescue dogs, as they are able to quickly learn various tasks and interpret instructions better than other breeds. 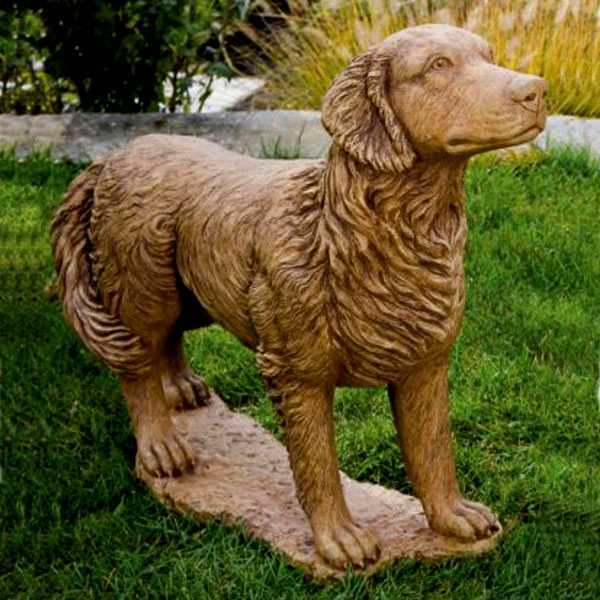 A stunning sculpture of a true British dog breed favourite.Made from cold cast bronze and polished to give a beautiful patina very similar to hot cast bronze. 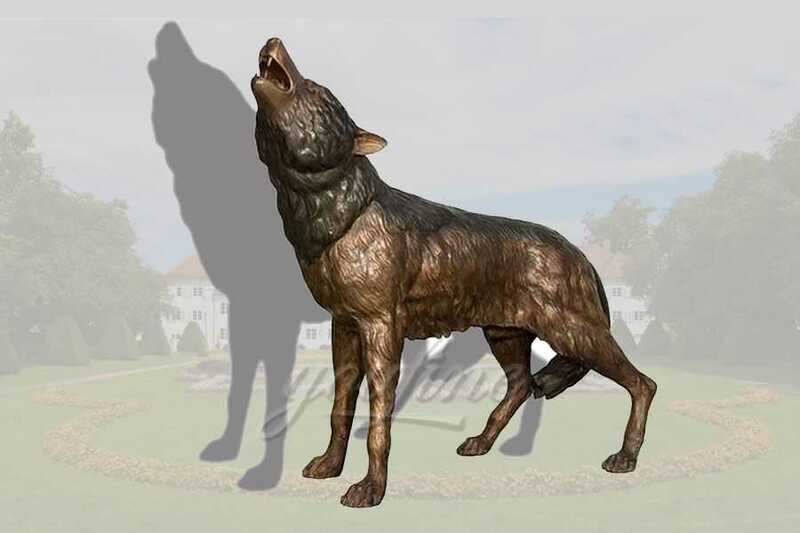 So if you are looking for the Life Size German Shepherd Garden Statue,this is the right place to choose from !